The back issues just keep comin’ in! 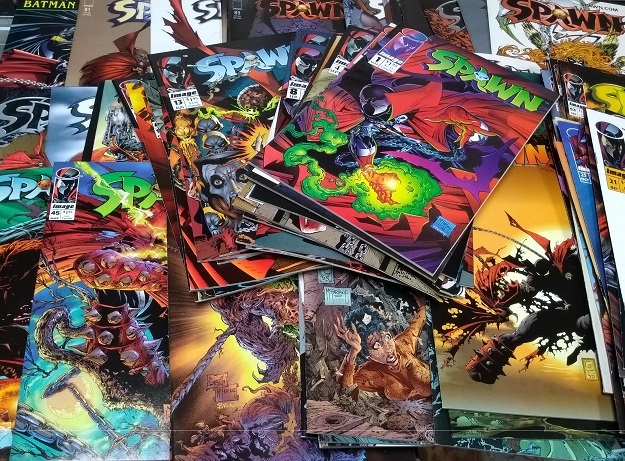 Just a reminder that we’ve been adding lots of new back issues to the selection here at Sterling Silver Comics, such as this recent acquisition of the first hundred or so issues of Spawn ! Also, lots of Mad magazines, early Marvel Star Wars , lots of other ’70s and’80s releases from Marvel and DC, and much more! Drop by and see what we’ve been getting in! This entry was posted in Comics on November 29, 2018 by Mike.